As in previous years, UJS ran a stall in the exhibition part of the conference. UJS sabbatical officers were on hand to answer questions from delegates who came to visit the stall, and we enjoyed showcasing our work to support J-Socs and Jewish students around the country. Delegates who visited the stall were also able to register their interest in the Poland trips that we run for sabbatical officers in partnership with the Holocaust Educational Trust. These trips are part of a wider programme combatting campus antisemitism supported by the Ministry for Housing, Communities and Local Government. Jewish students also volunteered to help on the Anthony Nolan stall, campaigning for NUS delegates to join the register. UJS has a longstanding relationship with Anthony Nolan and it is particularly important to increase the amount of ethnic minority donors on the bone marrow register, since patients from white Northern European backgrounds have around a 90% chance of finding a matching donor on the register, but for those of ethnic minority backgrounds – including Jewish people – that chance falls to just 40%. 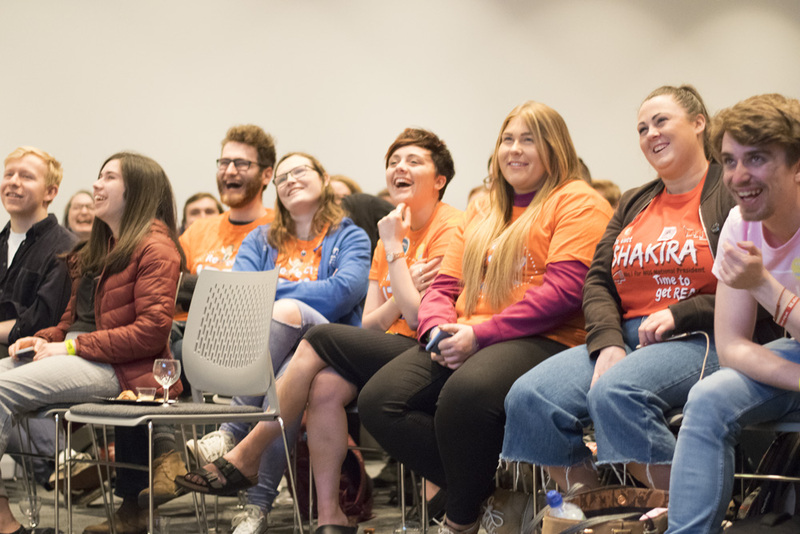 Over the past five years, through inviting Anthony Nolan representatives to attend UJS Summit and by encouraging partnerships between J-Socs and local Marrow societies, UJS volunteers have successfully recruited well over 250 potential lifesavers to the register; an achievement of which we are proud. 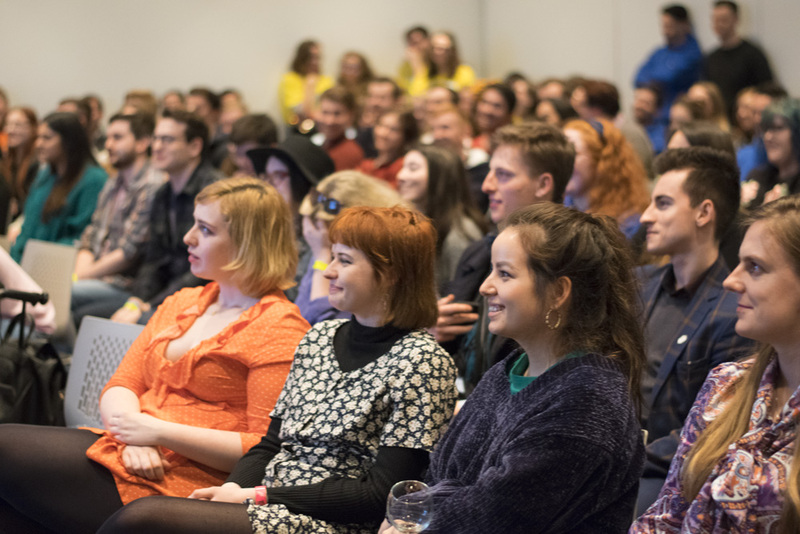 We have been fortunate to host extremely popular fringe events at NUS Conference over the past several years and 2018 was no exception. In the evening, we were joined by over 150 delegates, packing the room out to maximum capacity (we were sad to have to turn people away due to safety requirements! ), and delegates enjoyed a play by Marlon Solomon titled ‘Conspiracy Theory: A Lizard’s Tale’. The play addressed the prevalence of conspiracy theories in today’s society, with a focus on antisemitic conspiracy theories. Using a combination of humour and storytelling, Marlon exposed the insidious nature of Jew-hatred and the depressing dismissal of Jewish people's concerns about antisemitism. Marlon received many outbreaks of rapturous applause including for sentiments exposing the way antisemitism is excused or politicised. Marlon challenged the denial that exists around anti-Zionism ever being antisemitic. 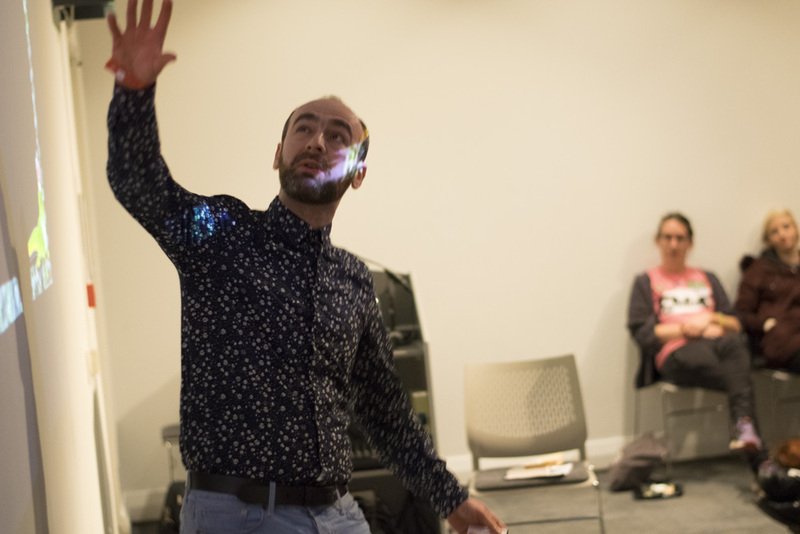 In a particularly powerful moment, after sharing how 93% of British Jews identify with support for Jewish self-determination, Marlon's comment that within that 93% there are plenty of different opinions was met with knowing laughter and affirmative applause. Whilst we continue to work to ensure this was a mistake rather than malice, we are proud that Gabe gave a passionate and rousing speech to the hundreds of students still on conference floor. We are encouraged by students' eagerness to understand antisemitism, as the huge engagement with our fringe event today displayed. 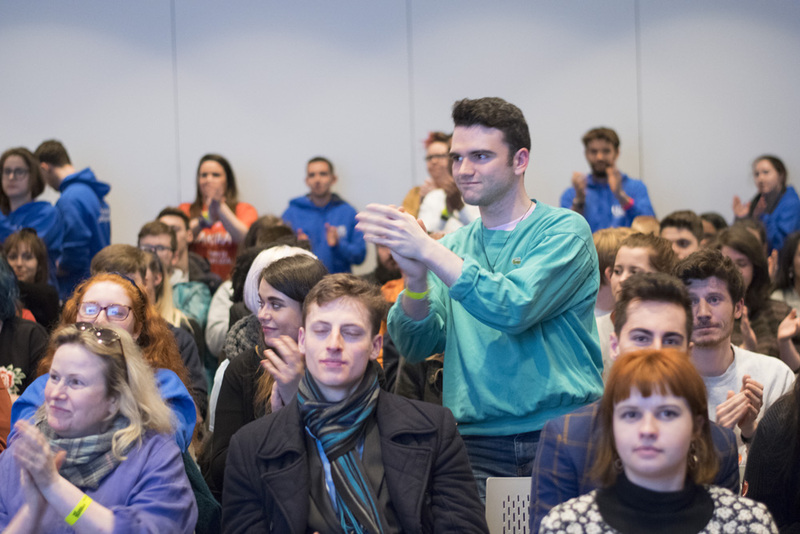 As Jewish students continue to stand proudly and loudly, as Gabe did so well today, we are confident that the majority of NUS stand in solidarity with Jewish students on campuses across the UK. Today, the second day of NUS Conference, will include policy debates as well as elections in which several Jewish students are candidates. We will provide another update at the end of the day.